The Programs of All-Inclusive Care for the Elderly (PACE) is an innovative model that provides a range of integrated preventative, acute, and long-term care services to manage the complex medical, functional, and social needs of the frail elderly. PACE was created as a way to provide flexibility in meeting a person’s health care needs while they continue to live safely in the community. The purpose of a PACE program is to provide comprehensive health care services that are designed to enhance the quality of life and autonomy for older adults. 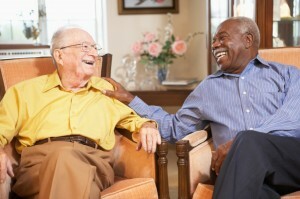 Through PACE, the dignity and respect of older adults is maximized. Older adults are able live in their homes and the communities they love as long as medically and socially feasible; and the support of the older adult’s family unit is preserved.